separatist leader Abdul Gani Lone, who was assassinated in 2002. 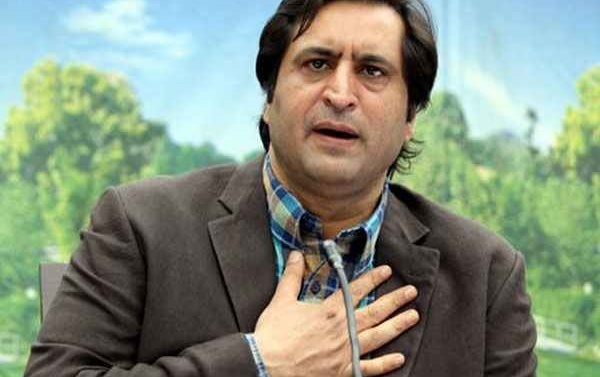 The affinity between the saffron party and Lone — a former separatist leader who is now a mainstream politician — had been building up for some time, political observers say. In the aftermath of the fall of the Mehbooba Mufti government in June this year, BJP general secretary and the party’s Kashmir incharge Ram Madhav had made it a point to meet Lone during his visit to Kashmir to explore the way ahead in the postMehbooba scenario. 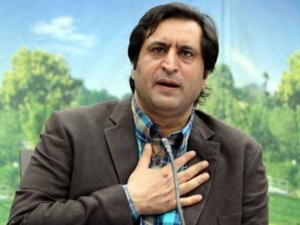 Since then, during his frequent visits to the valley, Madhav has met Lone several times, most recently accepting an invitation to dine with him to celebrate the clinching of the Srinagar mayor post by the People’s Conference (PC). for Kashmir to being seen as the BJP’s man in the valley. In fact, Lone had started developing strong ties with the BJP even in 2014 when his party became a part of the BJP-PDP alliance. According to sources, Mufti Mohammad Sayeed had tried to sideline Lone following the alliance with BJP but the right wing party put its foot down and gave a ministerial berth to Lone from its own quota. Insiders say that by propping up Lone and projecting him as a fresh face, BJP is also seeking to counter the old guard — National Conference’s Abdullah family and the PDP’s Sayeeds, with whom it has had a fallout.